Baron Philippe de Rothschild was many things – a member of the Rothschild banking dynasty, a race car driver, playwright, poet and most of all – one of the world’s most famous wine makers. 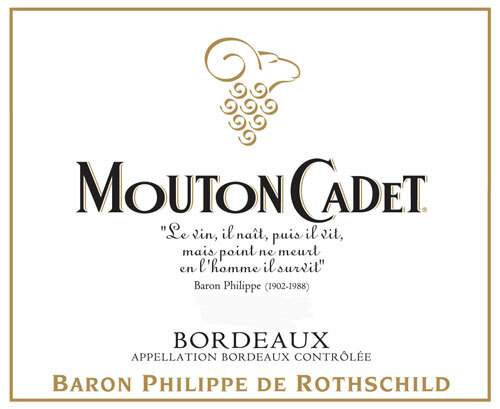 The owner of Mouton Rothschild, the only château to successfully challenge the famous Bordeaux Classification of 1855 and see their ranking move from 2nd growth to 1st growth in 1973, Baron Philippe was tireless in his pursuit of the things he loved. As a winemaker, Baron Philippe was savvy and knew the value of diversification. Like most château, he maintained a number of labels at various price points to ensure that his wines penetrated the market effectively. He also, like others in his family diversified overseas – co-founding Almaviva (with Concha y Toro) in Chile and Opus One (with Robert Mondavi) in Napa Valley. Baron Philippe was truly a renaissance man, a polymath who thankfully devoted much of his considerable wealth, passion and skill to wine making. The 2011 vintage in Bordeaux is largely being billed as “challenging.” After stunning success in 2009 and 2010, the 2011 vintage is a bit of a correction to the market. Many wine makers were able to navigate the tricky vintage and produce some very nice wine. Because the vintage lacks the hype and universal quality of the two prior vintages, wine drinkers are likely to find some real bargains. One will need to choose wisely, because there will also likely be a fair number of misses as well. 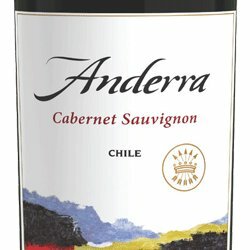 While I was buying the Mouton Cadet, I noticed a new Chilean-Baron Philippe de Rothschild joint-venture – Anderra, so I thought I would give it a try. I am pleasantly surprised. While a little on the simple side, the Anderra possesses enough individuality to make it interesting. Both the Mouton Cadet and the Anderra carry an average retail price of $11.99 per bottle in the Boston area, which, after discount is quite attractive for an everyday, quaffing wine. Minerally nose with black cherry, currants, tobacco leaf and cedar hints. Medium-bodied with moderate acidity and firm, but supple tannins – Good balance. Dark fruit core with roasted game, wet stone and chocolate notes – Nicely structured. Moderate length – smooth finish – very approachable. Drinking well now – not for aging. Great value! Ripe, jammy nose with blackberry, briar patch and eucalyptus hints – seductive aromas. Medium-bodied with moderate acidity and firm tannins – Good balance. Dark fruit core with raspberry, red berry and vanilla notes. Moderate length – smooth with dried fruit on the finish. Drinking well now – not for aging. Great value! Most people probably know that Portugal’s most famous wine, Port is from the city of Oporto on the Atlantic outlet of the Douro River. Vintage Port is a supremely luxurious dessert wine with prodigious aging potential, made from several different indigenous varietals found along the Douro River valley. Principle among those varietals is Touriga Nacional, an inky-black grape with a thick skin and intense fruity flavors. Not known by many wine consumers is that despite the renown of Vintage Port, more than half of the red wine produced in Oporto is in fact dry table wine, of which the best is made from Touriga Nacional. The growing trend is for well-known Port houses to expand their export operations to include their own dry table wines, sourced from the same Douro vineyards that furnish the fruit for their famous sweet Ports. Current ownership of the Delaforce brand, Real Companhia Velha, also known as Royal Oporto, has over 250 years of history and uninterrupted activity in the Port Wine Trade. RCV is a major vineyard owner in the Douro valley with approximately 550 hectares (1,400 acres). Delaforce, to capitalize on the growing trend of promoting the dry wines of the region along with their traditional Port offerings, is promoting two of RCV’s premium vineyards – Aciprestes and Cidrô. The two vineyards have been selected to provide the grapes for Delaforce’s new brand of dry Douro table wines, called The Delaforce Collection. At a recent trade tasting I had the pleasure of tasting through this new brand of wines and was suitably impressed. The group of wines consists of one Alvarinho-based dry white wine and four Douro red wines. Each of the wines was selected for their individuality and unique style. Of the five wines, my favorite was the 2009 Delaforce Touriga Nacional. The wine is 100% Touriga Nacional sourced from both the Aciprestes and Cidrô vineyards. Production is limited to 36,000 bottles to ensure a high level of quality, which clearly comes though on the palate, while enabling the wine to sell at moderate prices. At an average, pre-discount price of $20 per bottle, the wine is a respectable value with some moderate aging potential. Lush, jammy nose with black cherry, vanilla and eucalyptus hints. Full-bodied with moderate acidity and supple, yet firm tannin – well balanced. Port-like with a deep dark core of fruit – cacao and tobacco leaf notes. Long finish – seductive with cedar and cherry on the aftertaste. Delicious. Drinking well now and should improve with 5 to 7 years in bottle. Strong value.